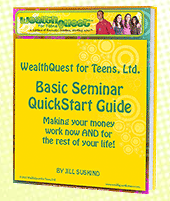 Great to see you out today!We were recently given the opportunity to review the Wealth Quest for Teens program ($39.95). I used this with my teenage son. He was able to accomplish quite a bit on his own, but we also had many discussions regarding what he is learning. It did help make him more aware of properly handling his finances. I did have a problem with the emphasis on becoming wealthy. Although I do not have a problem with someone becoming wealthy I do not want this to be a goal in my son's life. Since I was aware of this, I was able to point this out to him ahead of time. There is still very good information in the program and it is valuable for the training of how to wisely manage your money. 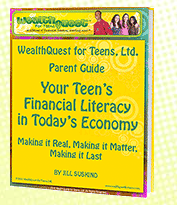 I believe this course can be used as an effective tool in teaching teens money management. 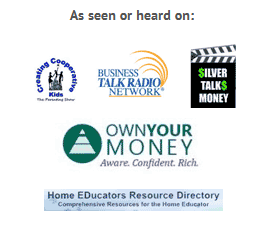 We personally just took the emphasis off managing your money to be wealthy and focused on using your money wisely. We received a PDF download of the parent's guide and the student book. Along with watching the videos online, my son had worksheets to complete. He was required to figure out his net worth and answer questions regarding his personal thoughts on money. There are special tips on each worksheet he had to complete. 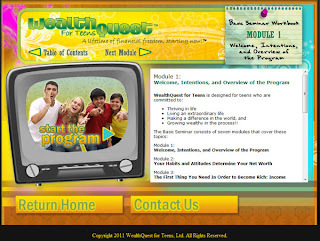 The course is designed for teens ages 14-19. 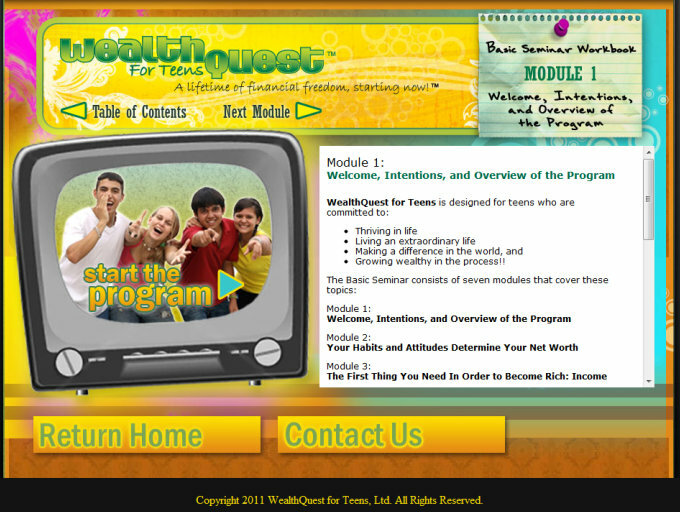 Be sure to click the banner below to see what other Crew Members have to say about Wealth Quest for Teens! 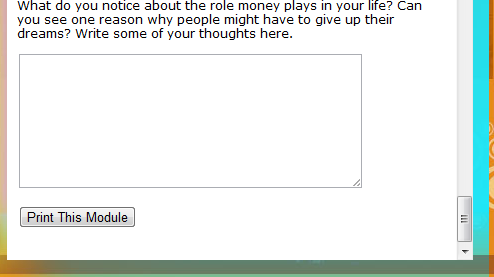 I like how you emphasized that becoming rich is not the ultimate goal in life.